GReads! 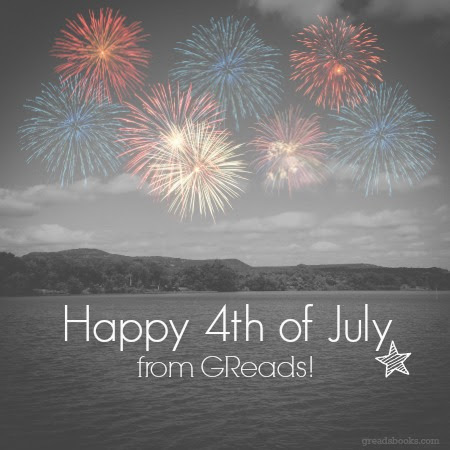 : Happy 4th of July + a long weekend! Happy 4th of July + a long weekend! It's the 4th of July here in the states, so that means we're off work (hopefully!) celebrating our great nation's independence. I just wanted to wish my fellow Americans a safe and lovely holiday. The blog will be a bit silent over the long weekend, but I'll be back on Monday with more Sweet Summertime Reads! Grab a book, hit the pool, hang out with friends + family, or watch the fireworks -- whatever your plans are for the 4th, I hope you enjoy it.